So I was inspired by the television commercials showing an enthusiastic Jack Russell Terrier leaping for treats using the new Beggin’ Poppers treat dispenser from Purina. I went out to Target and bought one, it cost about $7, and came filled with 10 oz. of treats. I had a coupon from the Sunday paper for a free refill bag (also 10 oz.) with the purchase of the dispenser, so I got 20 oz. of treats total. 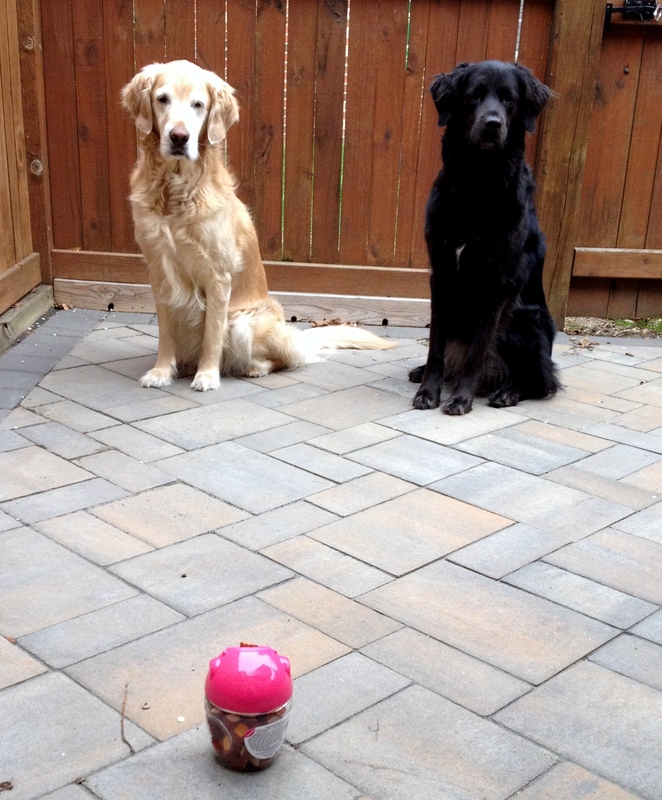 The container lid is molded to resemble a pig’s face, and you are supposed to push in the pig’s nose, put the treat on top, and wait for it to catapult it into the air. It took a couple seconds, but it did send the treat flying a good distance. On average, about 3 to 4 feet high and 4 to 6 feet away. Unfortunately, it was never in the same direction. I ended up with treats on the patio table, on the couch, under shrubs. Never straight at the dogs. 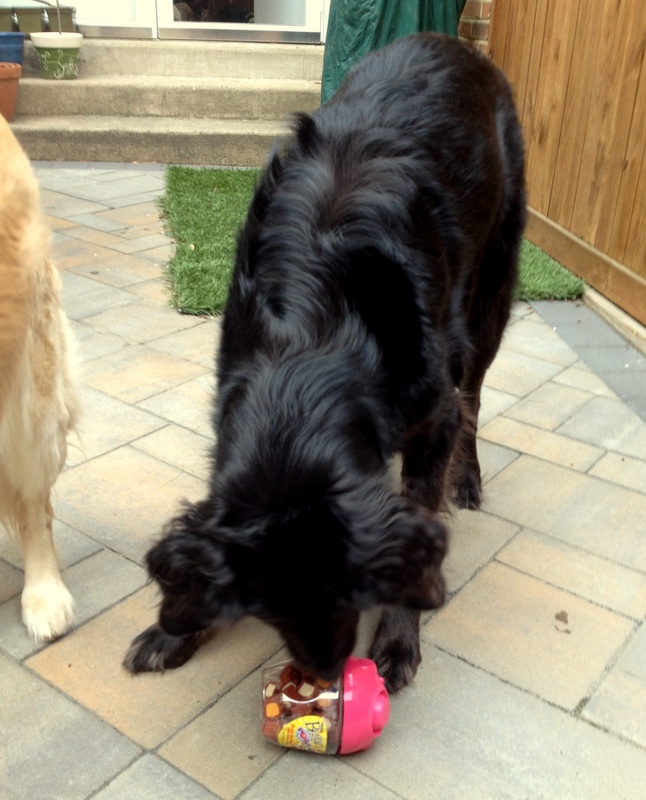 Sundae tried to roll treats out of the container, like a Kong. 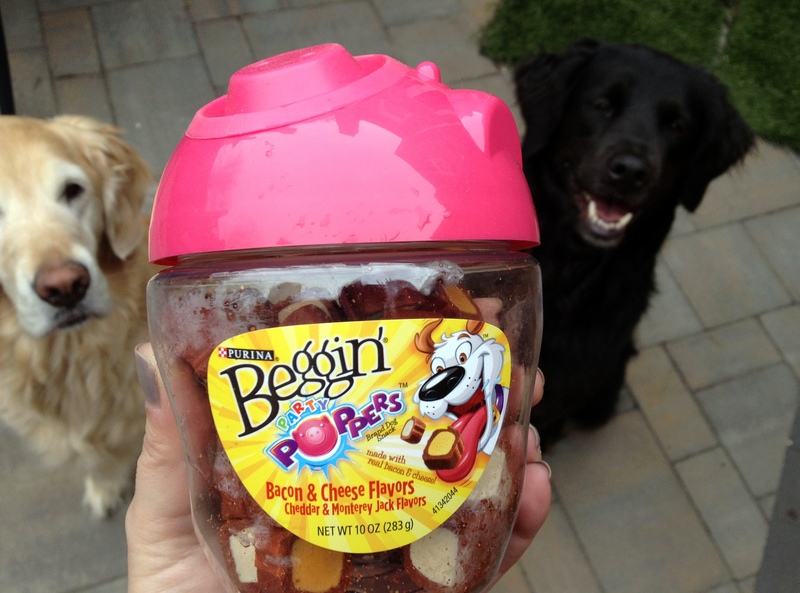 The girls loved the treats, and they are also big fans of the traditional Beggin’ Strips. The maintenance person at our condo carries them in her pockets, so I nearly lose an arm when they spot her on our morning walks. But as for the Popper, while it’s a fun idea, I think the trajectory needs to be tweaked. You can buy the 10 oz refill bag for about $3, so you’d be better off at this point spending half the money and tossing the treats to your pup. those products are so incredibly BAD and harmful to your dog…after all the food info I have handed out, I can’t believe you would ever recommend these. Diane, I agree that for regular every day meals and daily treats, all natural is the way to go, and that’s what the girls get. And I never, ever give them anything produced in China.